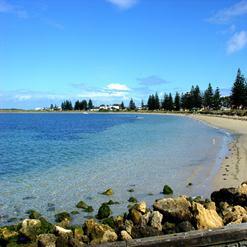 Rockingham Beach is one of the best beaches in Australia. The clean water and the white sand make this beach an ideal spot for picnic. This beach is also used frequently for dive training. It is a great place for children to swim as the water is shallow for quite a distance. There is a lovely park overlooking the beach, with shady areas, shower facilities and BBQ areas.